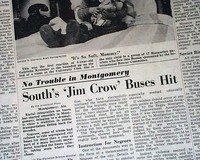 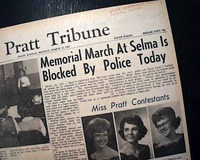 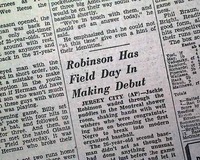 A landmark decision by the United States Supreme Court outlawed bus segregation throughout the country, doing much to create defiant reactions throughout the South. 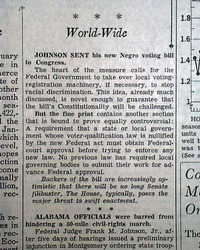 The new law went into effect Dec. 21, the date of this issue. 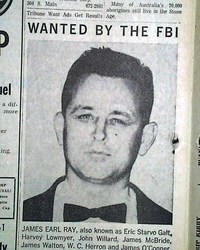 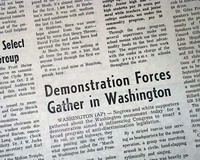 The front page has a one column heading: "Arrest No. 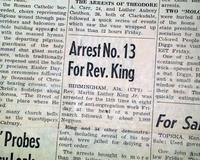 13 For Rev. 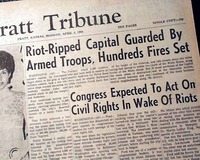 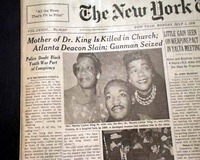 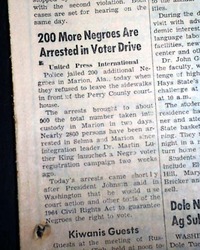 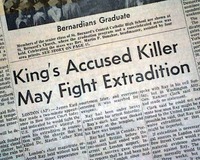 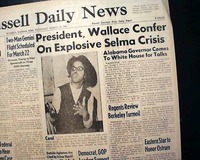 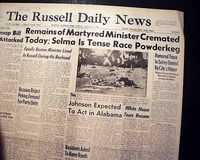 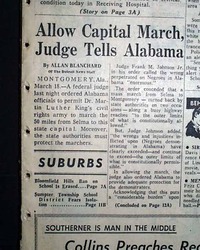 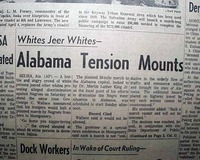 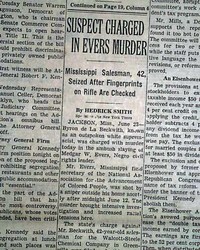 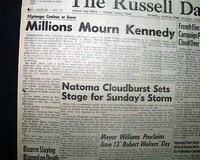 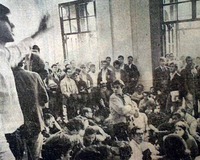 King" Civil unrest in Birmingham would continue for weeks with many confrontations between black youth and white civic authorities. 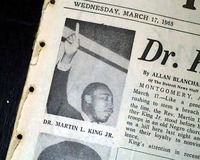 * Reverend Martin Luther King, Jr. 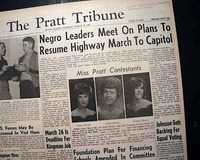 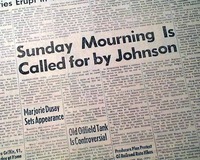 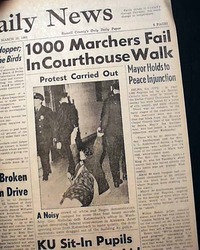 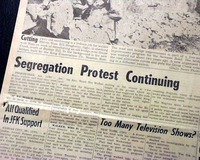 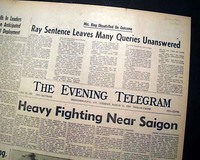 THE SPRINGFIELD UNION, Springfield, Massachusetts, December 13, 1961 This 46 page newspaper has one column headlines on the front page: "267 NEGROES ARE ARRESTED IN GA. PROTEST" "Marching, Singing Demonstrators Support 11 On Trial in Albany". 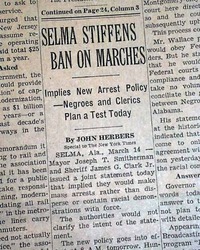 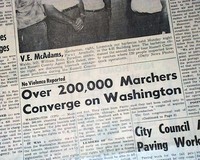 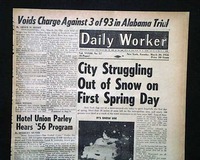 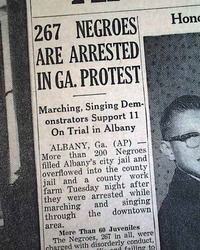 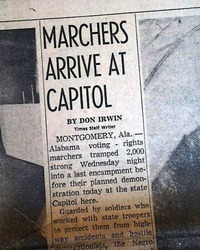 Tells of the civil rights march in Albany Georgia which involved Martin Luther King Jr that ended up in the arrest of 700.